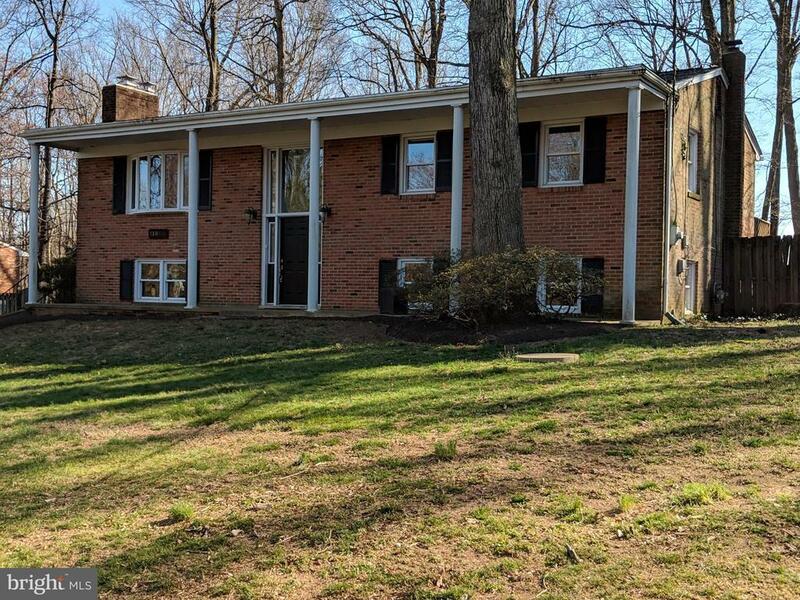 Nestled on over 1/2 acre in the Oakton school pyramid is this 4 bedroom 3 bath split foyer. This house offers plenty of options to add flow and equity! It currently features rich hardwoods (2017) on the main level, newer roof (2016), Furnace (2018), AC (2008), replaced windows, and a Kitchen upgrade (2017) with river rock granite countertops, white shaker soft close cabinets, tile flooring, and stainless appliances. A main level family/dining room combination offers a wood burning fireplace and slider walk out to a large deck overlooking an expansive fenced back yard and the Penderbrook golf course fairway. The family room brings in tons of day light from both front and back windows. The master suite boasts a private deck, a walk-in closet (rare for this era!) with a laundry chute, a 3 piece ensuite bath. Two more bedrooms on the main share a 2nd full bath. The lower level is a walk out with a second wood burning fireplace, a rec room, bedroom, full bath, and GREAT STORAGE. Newly paved Driveway (2019). All this in the Oakton School Pyramid and no HOA. Waples Mill Elementary/Franklin Middle/Oakton High School. FYI: The pool and all related equipment have not been used in 15 years and are being sold AS IS. All offers will be presented to seller at 6pm on Monday April 15th.